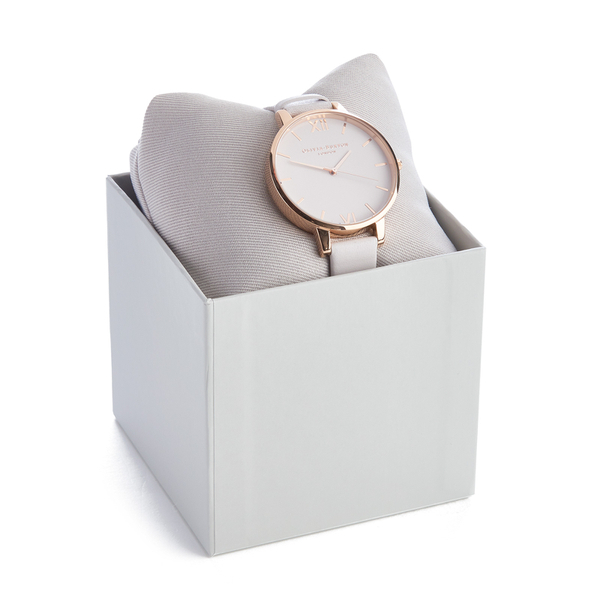 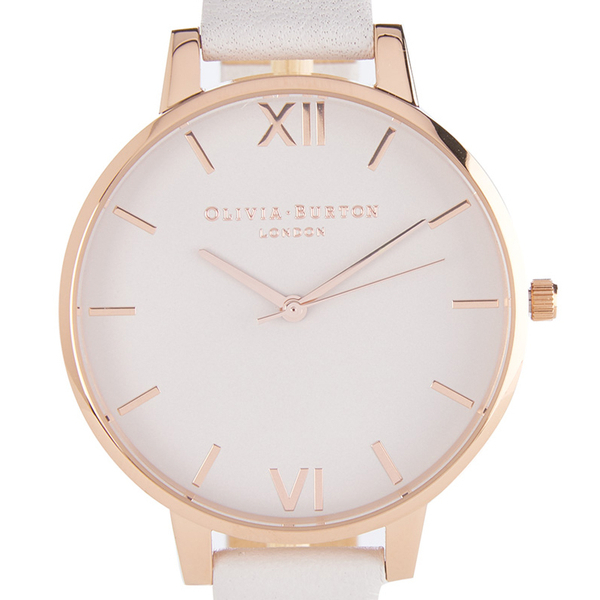 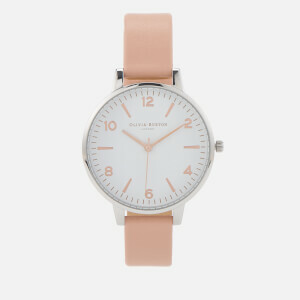 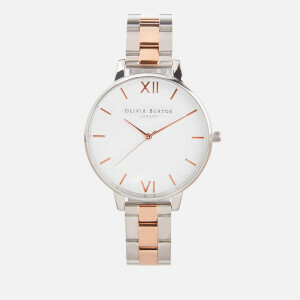 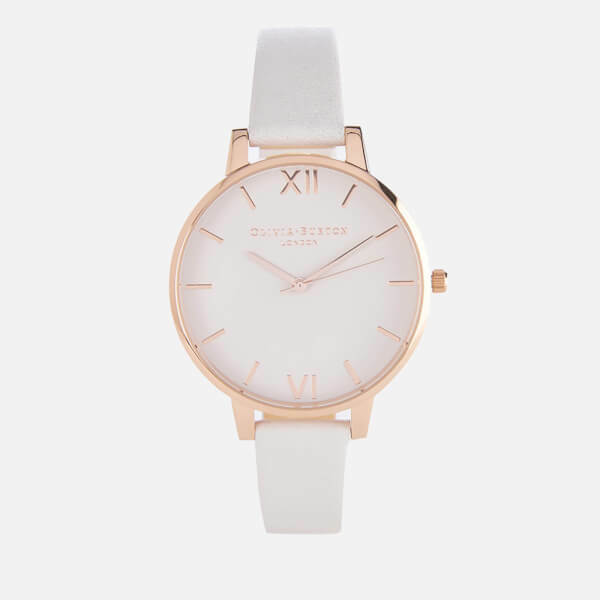 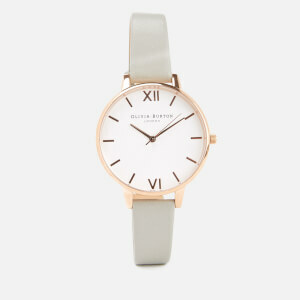 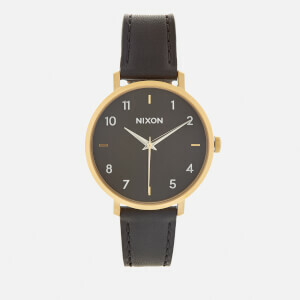 Women’s big dial watch from Olivia Burton. 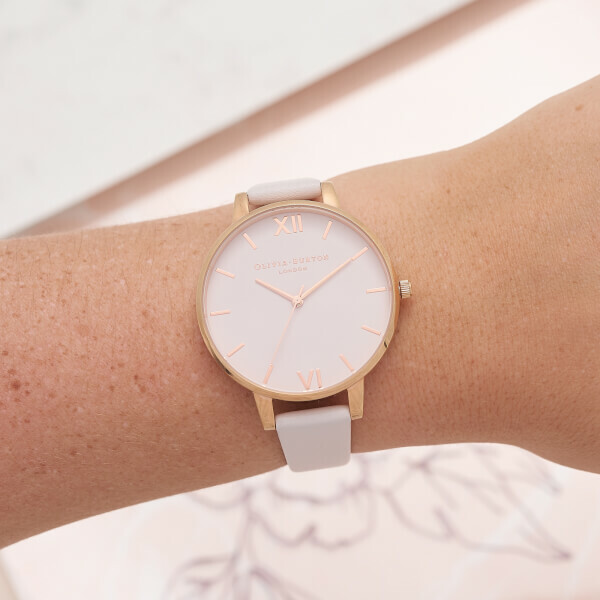 Crafted with an oversized blush dial, the watch comprises a complementary rose gold tone case and a soft leather strap with a traditional buckle fastening. 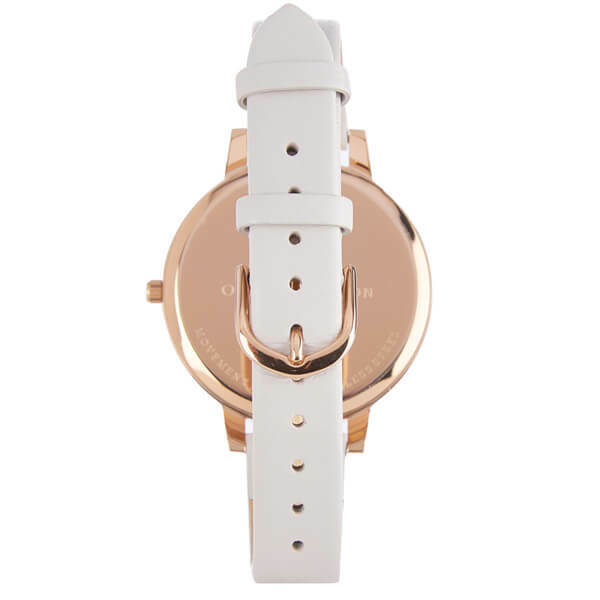 Complete with Olivia Burton branding to the dial, back of the case and embossed to the strap’s underside. 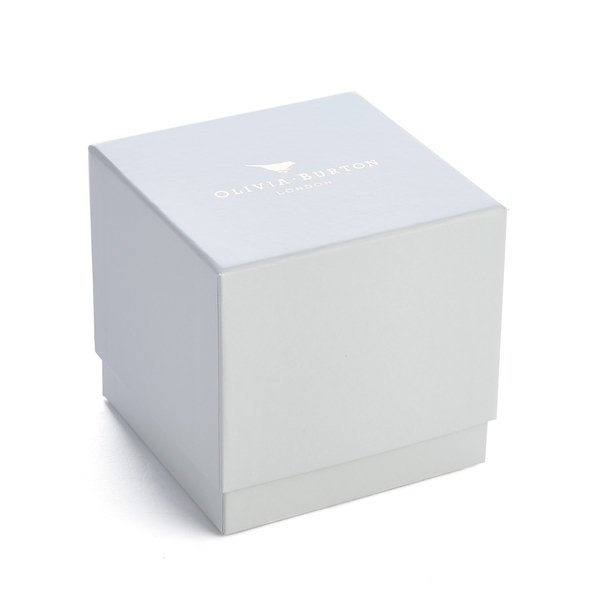 The watch functions on a three hand, Japanese quartz movement and is presented inside a branded watch box containing a two year manufacturer’s guarantee.